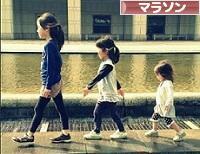 In walking, pelvic rotation is an important method of lengthening the stride. 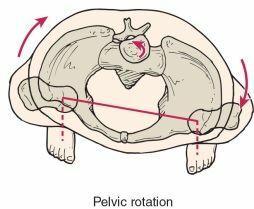 The pelvis is maximally rotated forward at initial contact to achieve a longer step length (Fig.5). 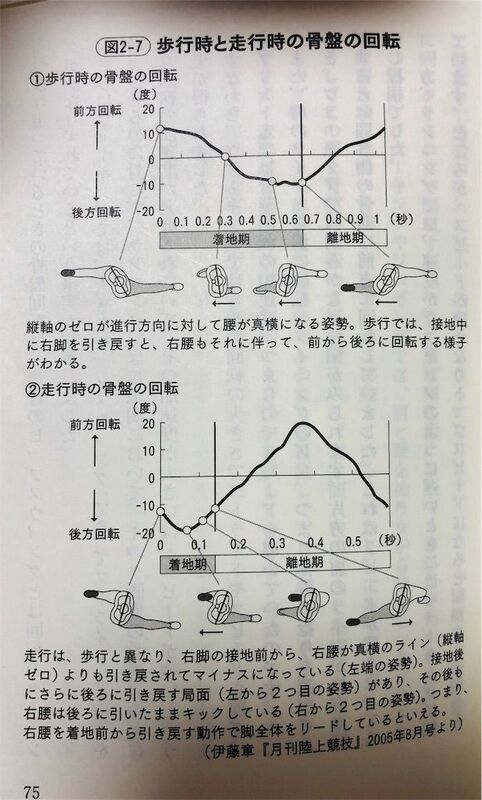 During running and sprinting maximum internal pelvic rotation occurs in midswing to lengthen the stride, but by the time of initial contact, the pelvis has rotated exteriorly. This maximizes horizontal propulsion force and avoids the potential loss of speed. 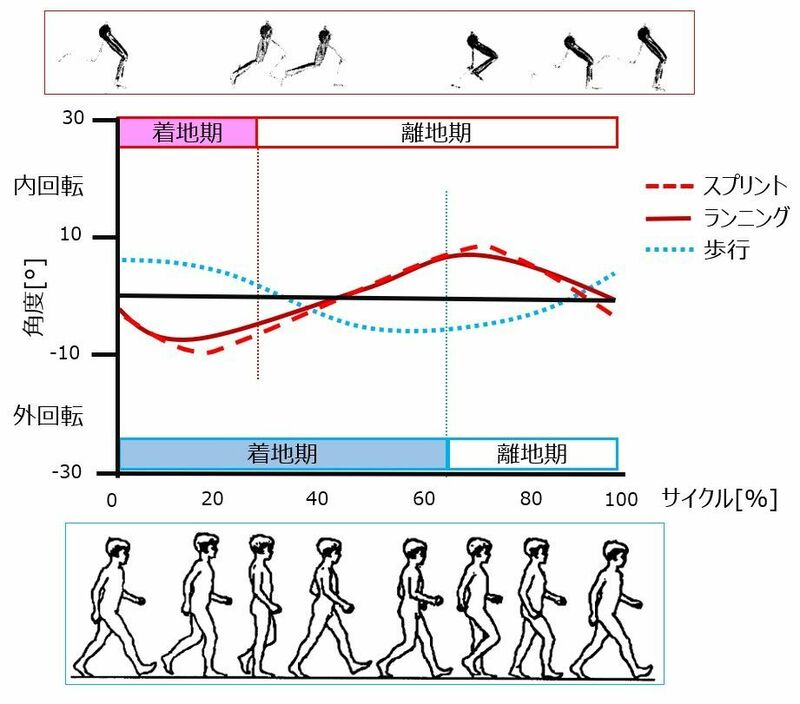 The pelvis in running and sprinting also functions as a pivot between the counter-rotating shoulders and legs. For example, when the right leg is maximally forward in midswing, the left shoulder is rotated forward and the pelvis is neutral.